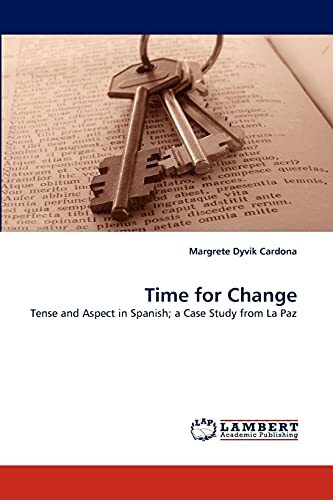 This book aims to narrow the gap between theoretical discussions and empirical studies within the field of Spanish linguistics (verb tense in particular), and it also presents an analysis of the use of some Spanish tenses in La Paz, Bolivia. In this book, the corpus is used for the testing of theories and as a basis for the description of the verb tenses in the La Paz variant of Spanish. The tense theories whose components are used for the analysis of the verb forms in the corpus are discussed in their own right, on a theoretical basis, before they are discussed again later on, in connection with the analysis of the corpus evidence. The analysis treats three past tenses: the composite past he cantado, the simple past perfective canté, and the imperfective past cantaba. The main conclusions that can be drawn from the analysis is that the amount of sub-senses traditionally assigned by Spanish grammars to each of these forms must be greatly reduced, and that there is partial neutralization between the composite past he cantado and the simple past perfective canté in La Paz.